The Queen’s 88th birthday has been marked across the UK with traditional gun salutes. A British 25 pounder from 1943 at the tower of London. 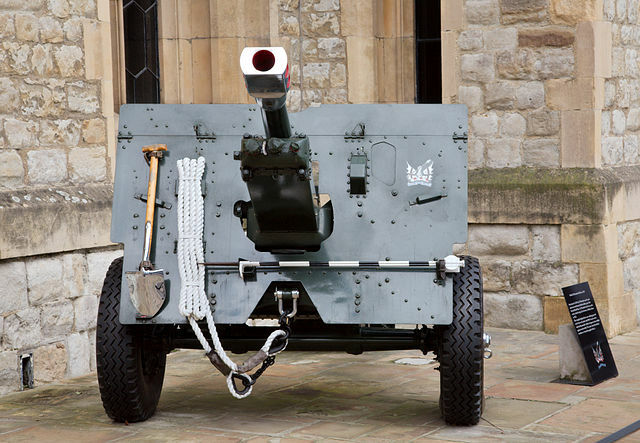 It served as a saluting gun for the Honourable Artillery Company until 2001. Photo by MatthiasKabel. However, her birthday is also celebrated officially each year in June at the Trooping the Colour service – which this year will take place on 14 June. The 62-shot salute at the Tower of London…included 21 shots for the Queen’s birthday, 20 because it is a royal palace, and 21 to follow a tradition in which ships would fire their guns before entering the City of London to show they were not threatening.